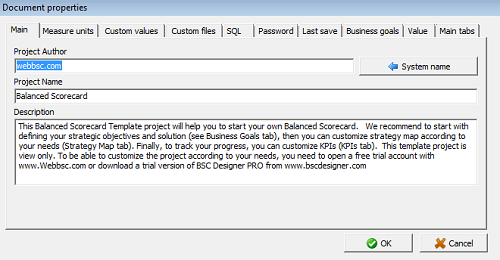 Use the Document properties command in the File menu to access additional scorecard customization settings. The SQL tab presents settings for SQL indicators. Use text fields on the Password tab to assign a password for reading and writing.